Is Adobe Flash 10.2 Right for You? Flash Player 10.2 is beta no more, and the general release promises better performance and less CPU usage through Stage Video. Stage Video provides for “a full hardware accelerated video pipeline,” building on the H.264 decoding of Flash 10.1 (s adbe), reducing CPU utilization by as much as 85 percent. That sounds like it would be a Mac mini using the NVIDIA GeForce 9400M (s nvda). Conveniently, I have a unibody 2.0 GHz Core 2 Duo MacBook with the same integrated graphics solution, so I looked forward to a precipitous drop in CPU usage when playing HD video with Flash. To my surprise, I got it; not 8 percent, but 16 percent playing 1080p video, which is still a big improvement from punishing CPU usage of the past. Unfortunately, the same could not be said of a MacBook Air from 2008 using Intel GMA X3100 graphics card. Even taking into account the difference in CPUs, the same video used 125 to 150 percent the CPU usage of the 1.6GHz Core Duo machine. The takeaway here is that if your Mac supports hardware acceleration for Flash, Flash 10.2 can provide real gains in performance and better battery life for mobile Macs. Those using Flash 10.1 can test their performance before and after upgrading using test videos from Adobe. It should also be noted that performance gains won’t materialize unless websites update to take advantage of Stage Video, but some sites, like YouTube, already have. For those who don’t want to tolerate Flash ads, there’s always the blocking plug-in ClickToFlash for Safari. For those with Macs that can’t take advantage of hardware acceleration in Flash 10.2, or for those who just hate Flash, there also a “dual browsing” option. Get rid of Flash on your operating system, use Safari or Firefox for normal browsing, and just use Chrome (which has the plug-in built-in) when you absolutely need Flash. Steven Frank explains how to remove Flash from Safari. 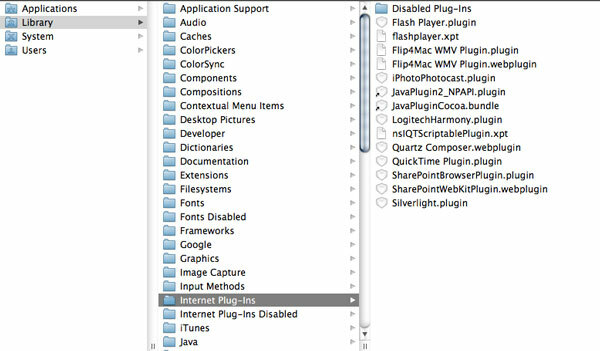 In both your root directory and your home directory, go to “/Library/Internet Plug-Ins” and remove “Flash Player.plugin,” “flashplayer.xpt,” and “NP-PPC-Dir-Shockwave,” (if it’s there). You can create a folder for them like “Internet Plug-Ins Disabled.” Rebooting Safari, you will now see “missing plug-in” where Flash used to play. For workarounds for still being able to play Flash video in Safari, there’s the excellent Safari Extension YouTube5. However, if your Mac supports Flash 10.2’s hardware acceleration, perhaps it’s time to consider letting Adobe back on your Mac. What Does the Future Hold For Browsers? I have an 8-core Mac Pro with an ATI Radeon HD 4870 and I don’t see any improvement at all, but then I guess performance wasn’t to bad anyway.